The 70 or so islands that make up Orkney are situated around ten miles off the coast of the mainland, twenty of the islands are inhabited. 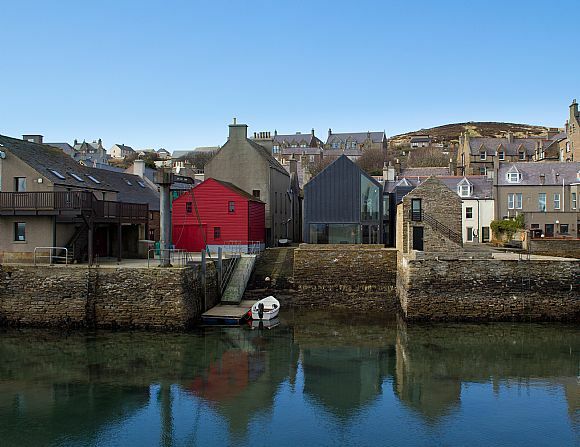 The main towns are Kirkwall and Stromness, both on 'Mainland', the largest island, and offering a variety of options for entertainment, while many smaller settlements and individual properties are spread among the other islands. Orkney is famous for its ancient historical sites of world importance, as well as for its dramatic coastal scenery. 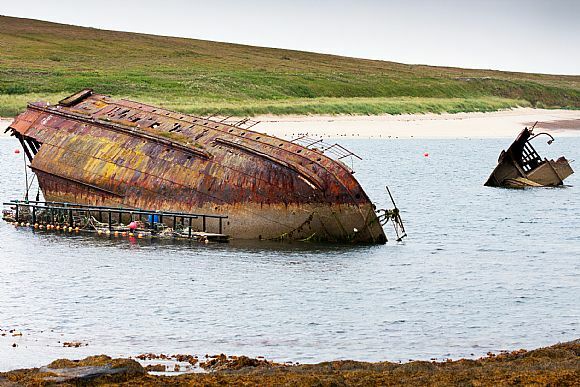 The Orkney Isles lie 10 miles off the north shore of mainland Scotland. Orkney consists of around 70 islands, 20 of which are inhabited, the population of the islands totals over 21,000 people. The biggest island, ‘Mainland’, contains Kirkwall, the largest town and administrative centre of Orkney (population 9,000), the other major settlement on the Mainland is Stromness (population 2,000). There are many smaller settlements spread amongst the other islands, for example Whitehall Village on the Island of Stronsay, and Longhope on the island of South Walls. 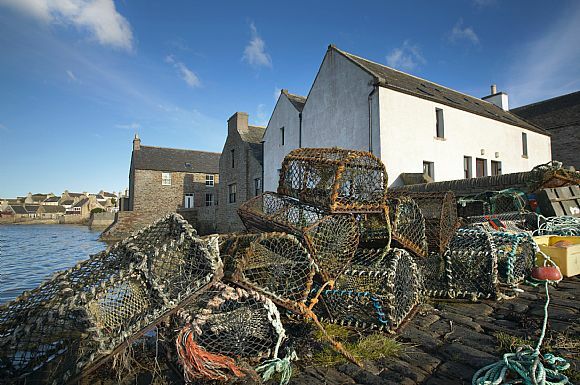 Orkney is linked to the Scottish mainland by ferry services, Aberdeen to Kirkwall, Scrabster to Stromness, Gills Bay to St Margaret’s Hope, John o’Groats to Burwick on South Ronaldsay. Kirkwall is also linked to Lerwick on Shetland by ferry. There are also numerous local ferries connecting all the inhabited Orkney Isles. The main airport in Orkney is in Kirkwall, with flights to mainland Scotland, Inverness, Aberdeen, Glasgow, Edinburgh, as well as Sumburgh Airport in Shetland. There are also airfields on most of the larger islands including Stronsay, Eday, North Ronaldsay, Westray, Papa Westray, and Sanday. Mainland Orkney has an extensive road network connecting the settlements of the island. The islands are known for their spectacular coastal scenery, particularly the stunning sea stack The Old Man of Hoy. They are also blessed with an abundance of wildlife including seals, dolphins, whales and seabirds such as puffins and kittiwakes. 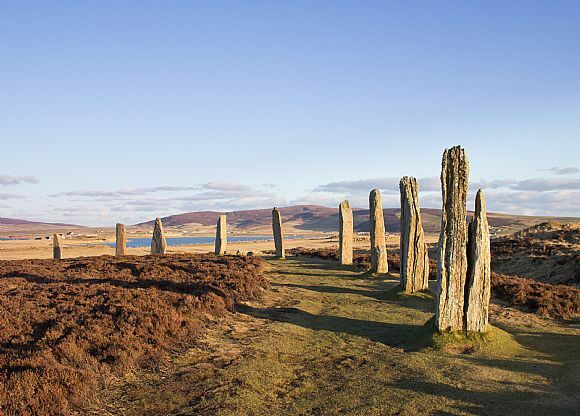 Orkney is also home to prehistoric sites of world significance, including Europe’s best preserved neolithic settlement at Skara Brae, the Standing Stones of Stenness and the Ring of Brodgar among others. 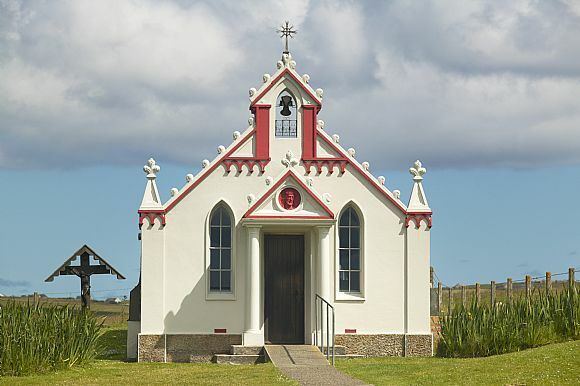 Along with these preshistoric sites the islands also provide a variety of other attractions that appeal to visitors and locals alike, including the Pier Arts Centre in Stromness, Scapa Distillery in Kirkwall, and the beautiful Magnus Cathedral, also in Kirkwall. The earliest permanent settlements on Orkney date from around 3,500 BCE, and archaeological remains show that the islands were an important prehistoric centre. 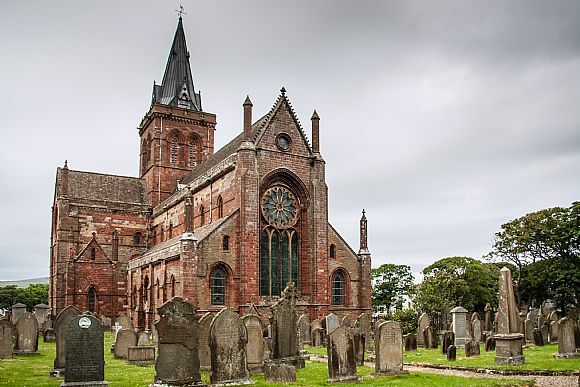 From the 8th century Orkney was colonised by the Norse from Scandinavia and remained, along with Shetland, a Norwegian province until the late 15th century when it was annexed to the crown of Scotland. Although Orkney has since remained a part of Scotland it retains an enduring connection with Norway which has continued to influence the islands’ unique culture.